God dwells in the supernatural! He saves unbelievers by grace and calls them to ministry, and God wants His people to live an extraordinary life of phenomenal acts of servanthood through an uncompromising and supernatural mindset. God desires Christians to think and behave like Christians all the time. 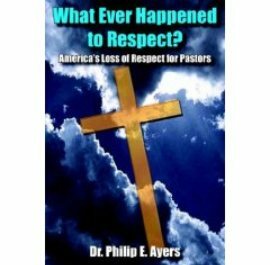 Phil Ayers explores the lives of the apostles of Jesus Christ. Each of the apostles were led by Jesus Christ out of the “rut of mediocre” into a life altering and world challenging commitment to serve, even unto death for the Way! God insists that all followers of His Son, Jesus Christ, finds their way beyond the ordinary pilgrimage of life, to be champions for Him! Tom Landry, the former championship coach of the Dallas Cowboys said, “There is only a half-step difference between the champions and those who finish on the bottom. 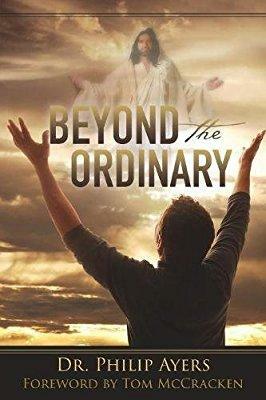 And much of that half-step is mental.” Christ wants His followers to choose an amazing and exceptional walk with Him, and to be a world changing Christian, a beyond the ordinary servant! Christ needs you today! Purchase this book at Amazon books. This book describes the Battle of Hickory in May 1967 when "G" Company (the Nomads), 2/26, 3rd Marine Division fought the 325 NVR army in Vietnam. 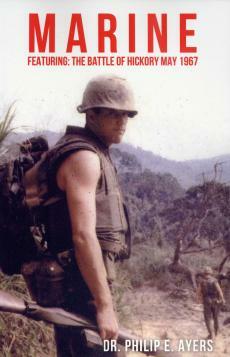 It is personal account of Phil Ayers and his fellow Marines. It demonstrates the power of prayer as those back home prayed for their sons. It depicts the training of Marines, the horror of battle, and the trama of PTSD. It is a must read for all Marines and historians alike. It can be purchased through XulonPress.com or Amazon books. All through the Bible, we are encouraged to rise above our circumstances!